Welcome to the fifth events of the Grand Prix Series in Grenoble, France. If you watched the Grand Prix last year, you know that Trophee de France (as this event was called before this year's name change) was a bit of a mess. Somehow the French organizers managed to make it even more of a mess this year. 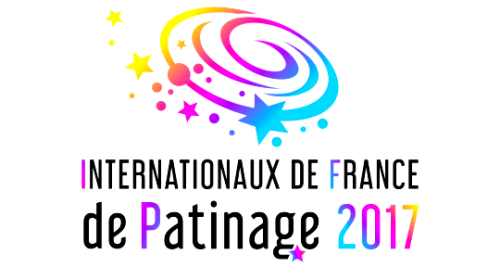 After witnessing the Internationaux de France de Patinage I truly wonder, along with basically everyone else on twitter, why the ISU is still giving this event to France even though they have shown, time and time again, that they really shouldn't be hosting a Grand Prix event. In one of my tweets (here) I've summed up a few of the differences between this year and last year, how this event continues to be a mess time and time again. Personally, as well as many other people, I really think, and in a way hope, that the ISU will look at all of this and reconsider if France really is the right choice for this Grand Prix event. Maybe giving it to a different EU country would be a better idea, like maybe Spain or Germany or something, just not France. But, enough about what went wrong when it comes to the organization, let's instead talk about the medalists. During his final season, Misha Ge of Uzbekistan finally managed to win his first Grand Prix title with an outstandingly beautiful bronze performance during both the short program and free skate. Misha is one of those skaters who might not have the quads but instead have the artistry that reminds you of what figure skating is really about. When you watch Misha perform you feel everything he wants you to feel, you see that thoughts went into the programs and choreographies, that every move and gesture is perfectly timed with the music, and it is just such a delight to watch. I am very happy that he got onto the podium and received bronze for this, though I truly would've wished that he would've gotten an actual medal instead of a plastic star. Javier Frenandez on the other hand continues to be something like a problematic favorite of mine. I know he is a really damn good skater, he has the technical skill, he can perform beautifully if he wants, but both of his programs are still simply not it for me. I thought that maybe, as the season would continue, I'd warm up to them, but that just isn't the case. His short continues to be goofy and comical, appropriate for the fact that it is Charlie Chaplin themed, and his free skate tries to be comical too, but instead of giggling and smiling, enjoying watching it, I just sit there and cringe. The costume is awful too just saying. He has the technical abilities but I think he tries too much to be like Nathan Chen (all quads and chasing the points) instead of like Misha Ge (more artistry and fines instead of quad gambling) which is a shame. This, unfortunately, is also slowly the case for Shoma Uno. I love him to pieces. He is a fantastic skater and I love both of his programs, but as the season continues I begin to find it exhausting to watch him because you worry, every single time, if he will make all the jumps, if he will hurt himself somehow and hinder his own success in this very important Olympic season, or will he make it. I think, if he would switch out some of his quads for triples and put more of a focus on presentation, he could still win and it would be less of a nervous train wreck for the viewers, and possibly also for him. With all the quad chasing and point grinding in the men field, it does make me wonder how healthy all these jumps are for their bodies and what the long term effects might end up being cause I can't imagine anything good coming from it. The ladies were a mess during the short program, then again everyone was because of the (as far as I heard) bad ice quality and even practice time issues because great French organizers, but the free program brought things back closer to the level you'd expect during the Grand Prix of an Olympic season. Personally I am happy for Alina Zagitova that she won this event. I like both her Black Swan short and Don Quichot free, her balleteque tutu costumes and the music choices. I've already once complained about how backloaded her free program is with all the jumps in the second half, but somehow this time around I didn't mind it quite as much. I definitely think she is very talented and has a lot of potential and could, in the future, really challenge the current reigning Queen Evgenia Medvedeva. Maria Sotskova, there is something about her programs and her skating that I struggle with. For this event she had new costumes, which I dubbed pink candy princess and blue boredom, but they didn't help much either. Maybe it's the fact that Maria seems to have much longer limbs than many of her competitors, maybe it's how awkward it looks when she has her arm raised during some of the jumps, I don't know, but I can't really warm up to her, though I think she has good chances to make the Russian Olympic team. Finally, taking bronze, we had Kaetlyn Osmond from Canada. As the season progresses I am actually starting to like her. She is definitely a good skater and I can't wait to see her in competition when all the ladies will be present, see how her scores will compare to the other top competitors etc. I am still very, and I mean very salty about the fact that Vanessa James and Morgan Cipres of France were basically robbed of their gold medal, or rather big green star. Their performances were amazing, even with Vanessa two footing (I think) the landing of their quad throw. They definitely deserved that top podium spot and I won't get over that any time soon. I can't stand Tarasova's and Morozov's free skate. Their costumes are hideous with their yellow and black polka dot aesthetic, and the music cut and selection of it, don't even get me started on how questionable and in poor taste that is. I don't know if maybe the person who chose it just didn't pay attention to the lyrics, or if maybe they didn't completely understand it, but honestly those are not lyrics I thought would be appropriate for something that will be skated during the Olympics, if these two will make the team. Not a fan, at all. And that is, all my saltiness and a few nice words about the Grand Prix event in Grenoble, France. I am very excited to see how the final event, Skate America, will be and who will make it into the Grand Prix Final!